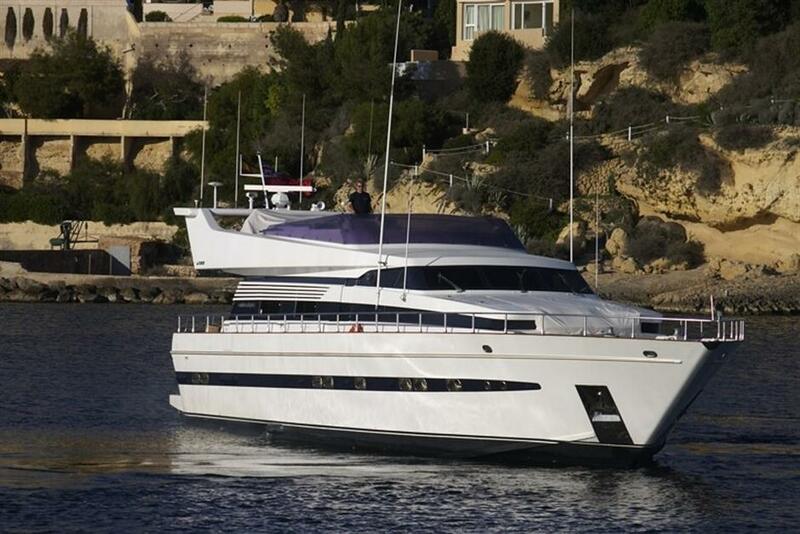 MIZAR is a 86ft Akhir 25s built by Cantieri de Pisa and launched in 1991. 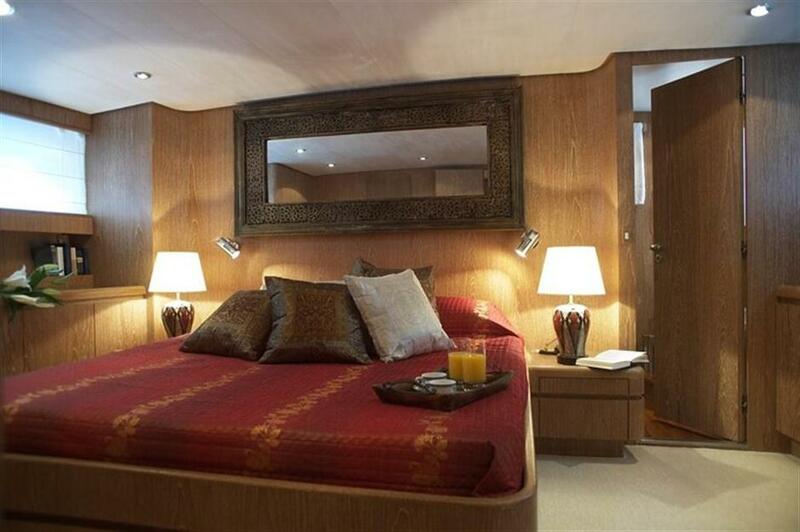 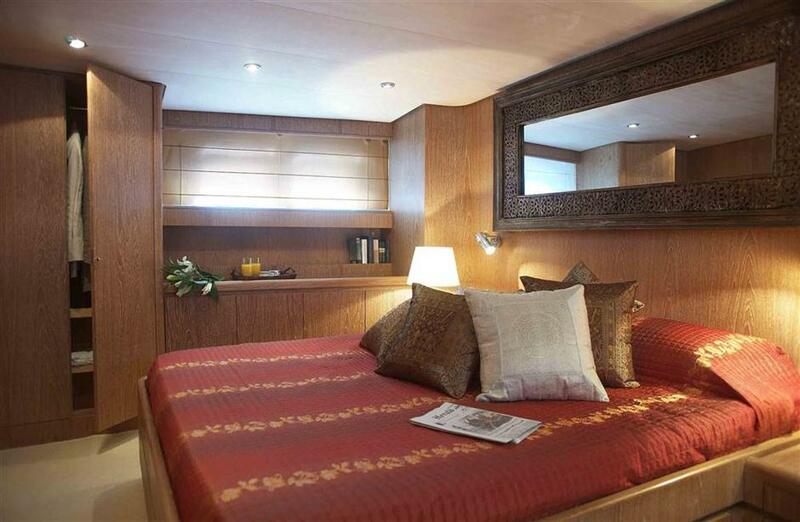 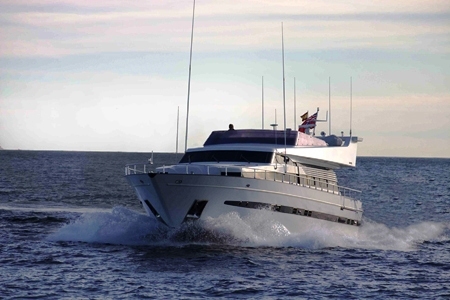 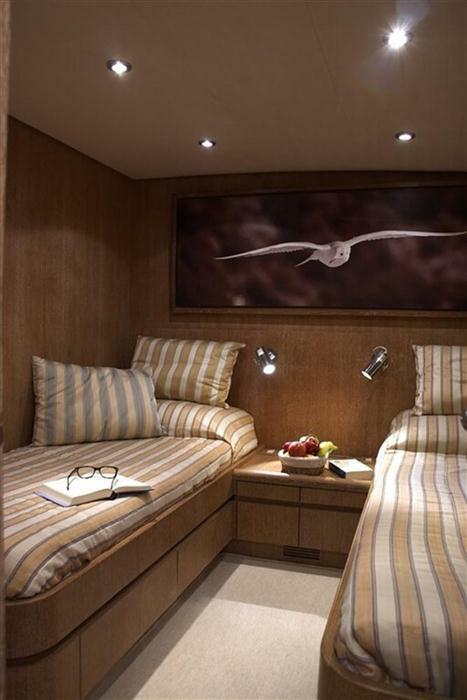 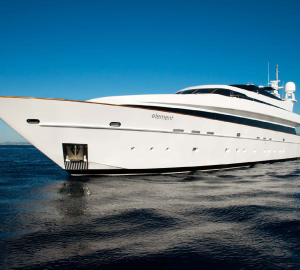 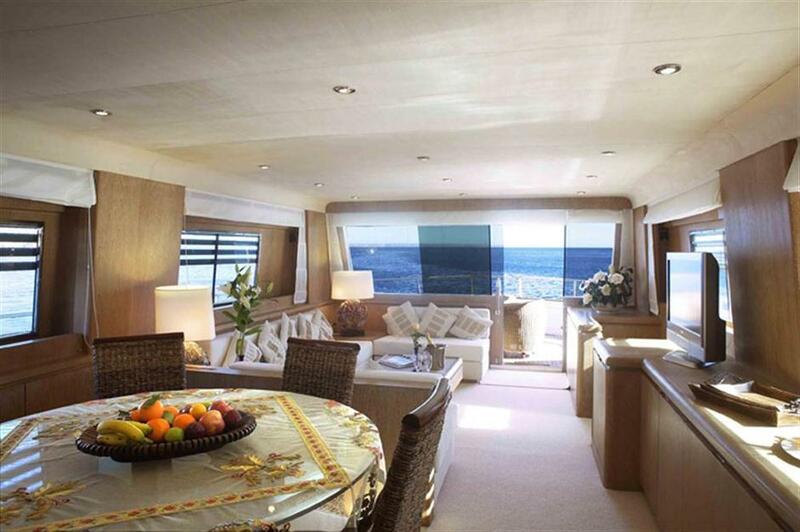 She can accommodate 8 guests in 4 well appointed staterooms. 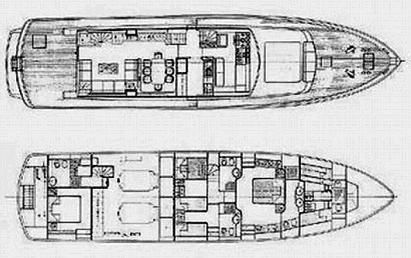 In 2002 and 2007 she undertook extensive refits to improve her layout and interior quality. 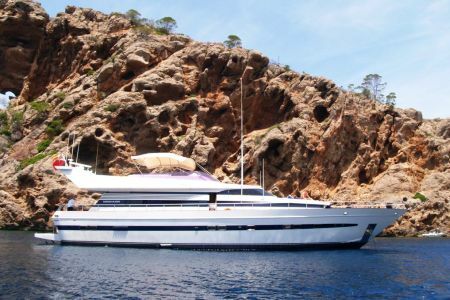 She is now a wonderful yacht with a spacious salon, aft deck and a wide open sundeck where guests can relax and entertain. 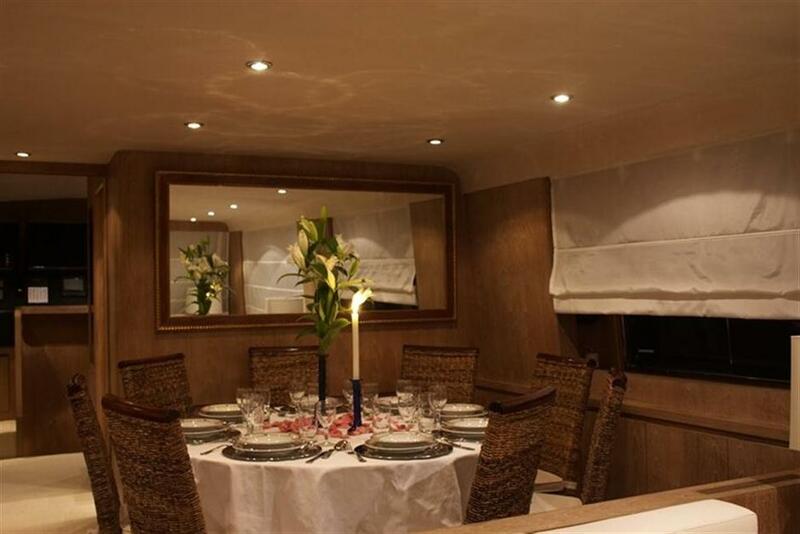 She is fully air conditioned throughout and finished with a clean and modern minimalist décor. 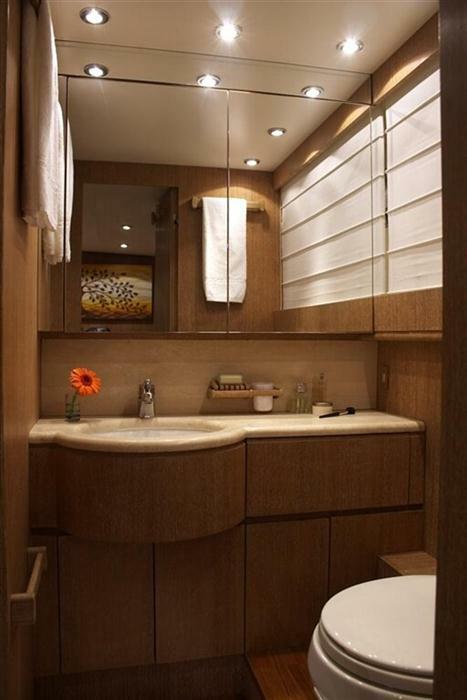 Her salon is spacious with a comfortable seating area. 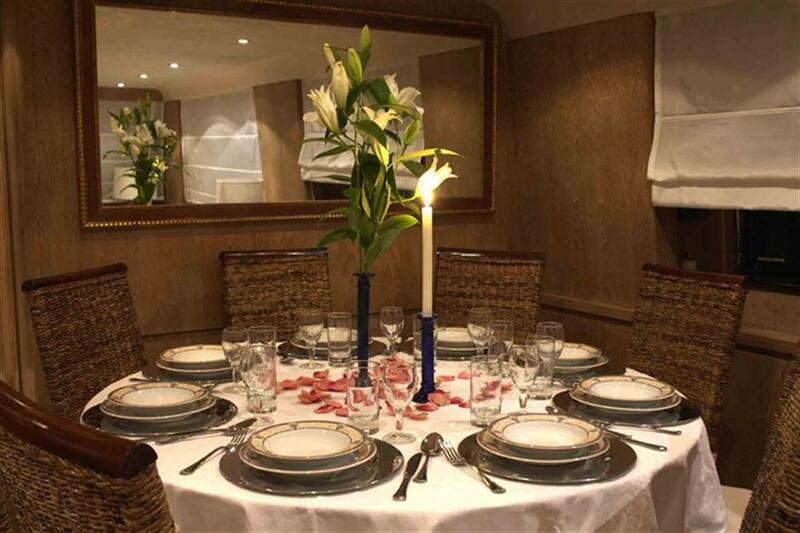 Her dining area is large and offers seating for up to 8 guests. 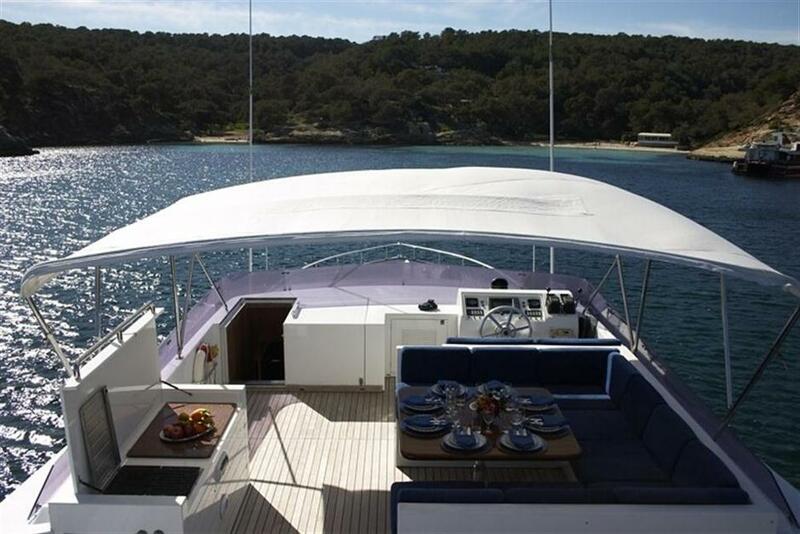 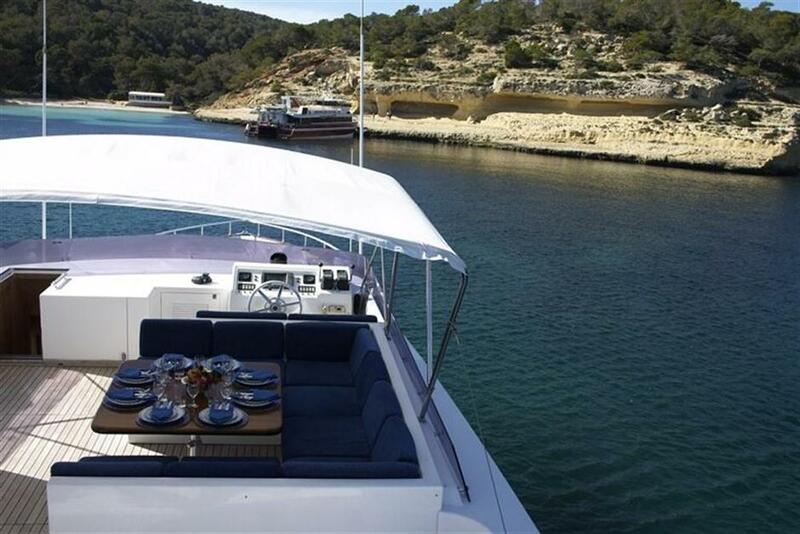 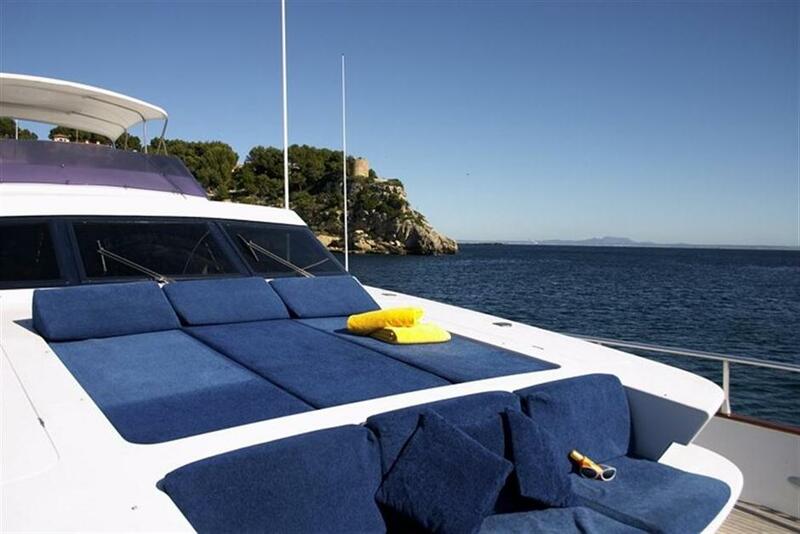 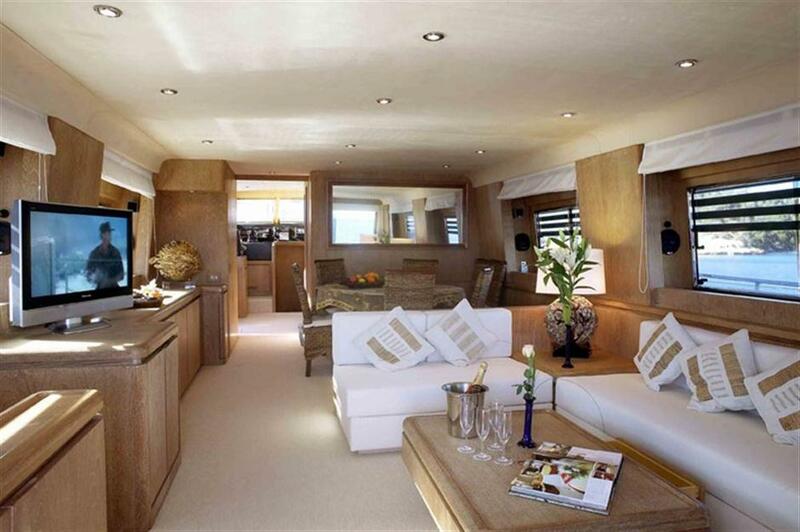 Mizar offers a very spacious sun bed area on the Foredeck as well as great seating space on the Fly bridge. 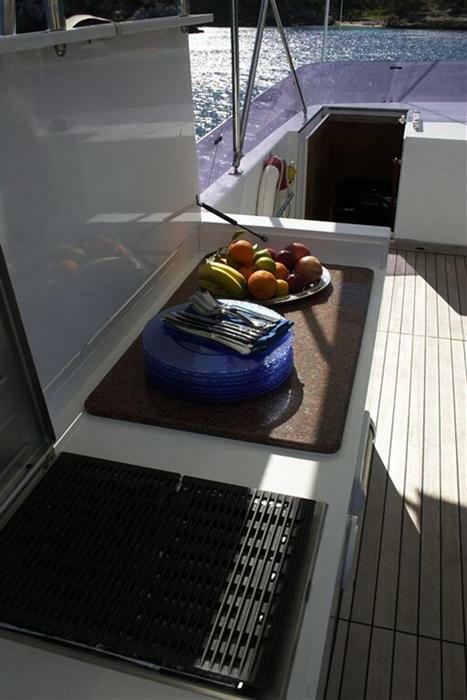 Furthermore she has a BBQ on the Fly bridge that makes great BBQ parties under blue sky and stars possible. 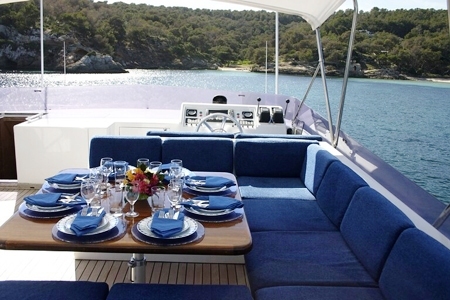 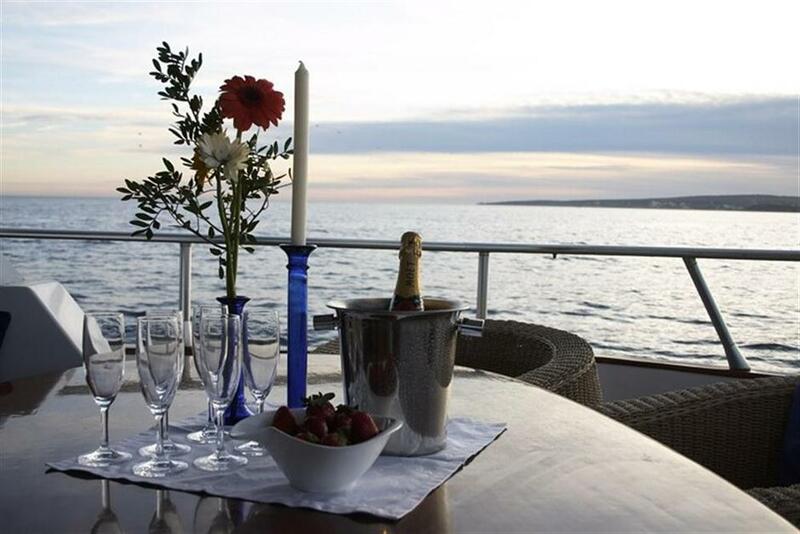 MIZAR is an excellent option and is one of the few yachts legally allowed to charter in Spain. 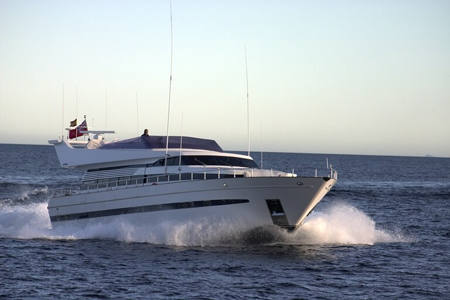 Powered by 2 MTU 1,900hp diesel engines Motor yacht Mizar is capable of a top speed of 28 knots, and comfortably cruises at 25 knots. 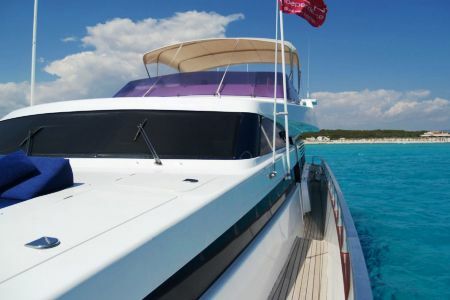 Motor Yacht MIZAR has the following Tenders & Toys: Avon 320 80 hp Jet rib dinghy New 2009 for towing skiers Bombardier 2 seater Jetski 80hp, Adult and Childrens water skis, Ladies mono ski EX Graphite fits up to size 39, Mens mono ski Dynamic Concave Combo. 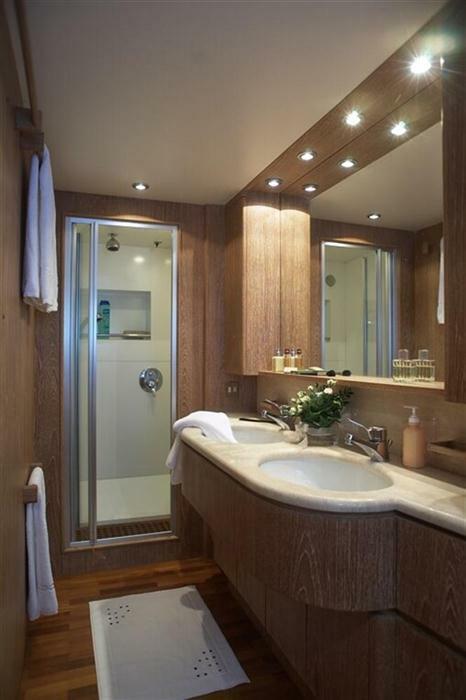 It is one of a pair where one can be dropped or can be used alone as a mono ski. 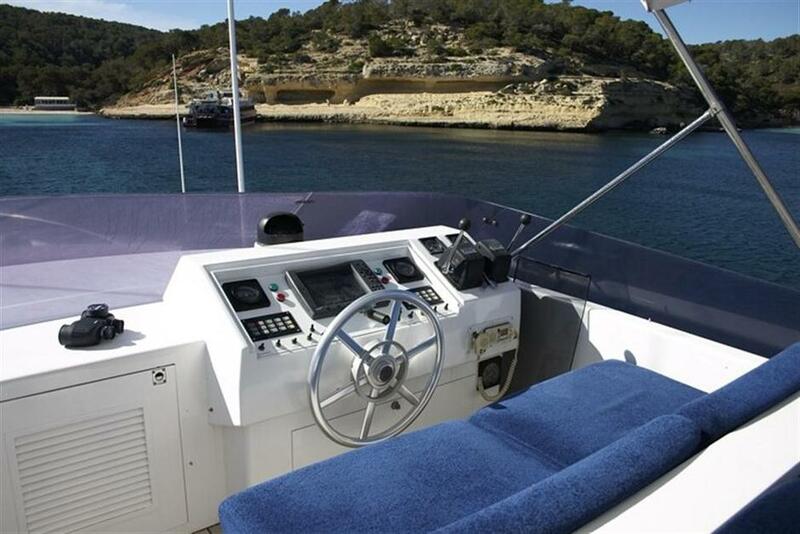 1 x knee board, 1 x Wake board, Donut (inflatable toy towed behind the tender), Watersport lifejackets all sizes. 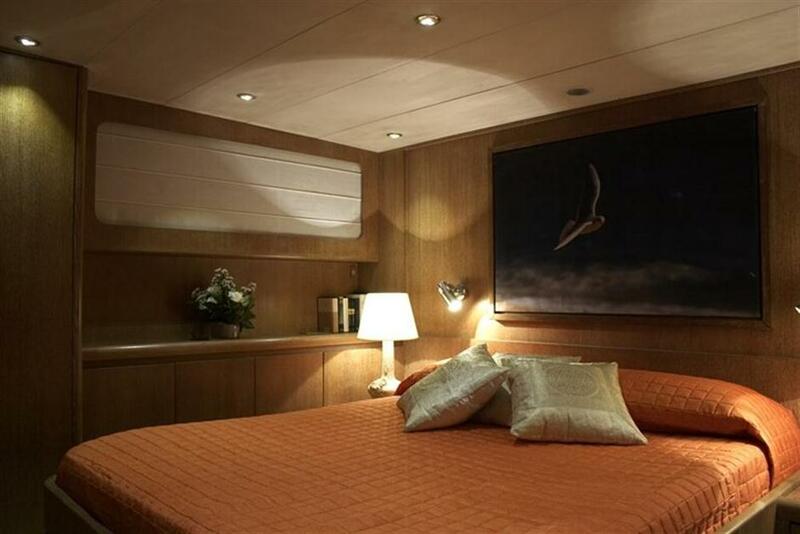 Audio Visual Equipment includes: Stereo in the Salon with speakers on aft deck, Flat screen TV in Salon, DVD in Salon with large collection of current DVDs (including a selction for children and teenagers), Flat screen TV and DVD in master cabin, Each cabin is equipped with its own radio/CD player, Alpine all weather music player on sundeck, Ipod docking stations in Salon & Sundeck. 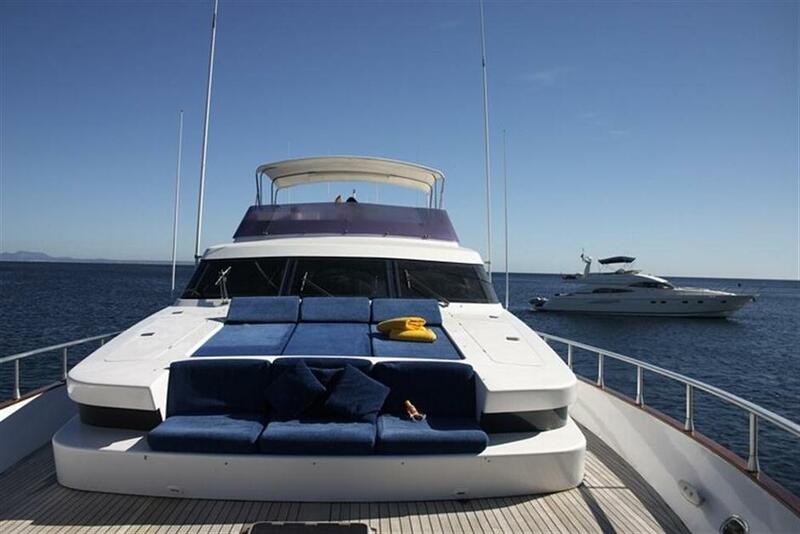 No SAT TV available. 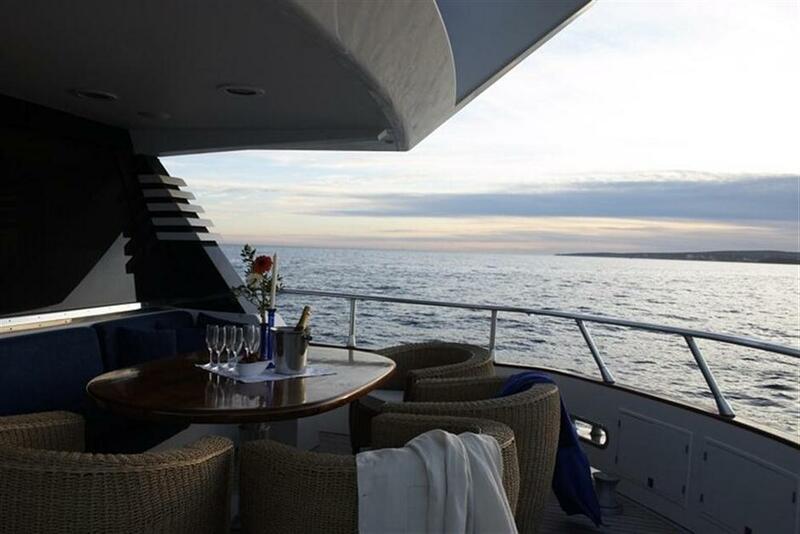 No Wifi connection is available (only in Marinas).